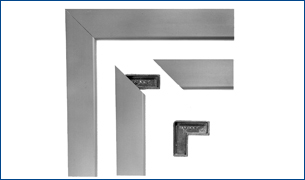 The problem of unsightly open ends of extrusion has also been solved. FAB45 has been designed so that it covers the mitred Aluminium thus giving a neat and professional finish to the Awning. 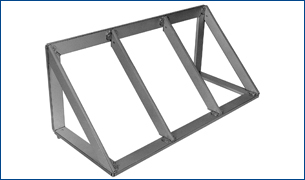 French Awning Bracket 45 Degrees A sturdy component to the range is the FAB45 which enables the Awning manufacturer to fix the mitred edges to the back and base frame on both sides of the extrusion giving a neater and stronger fixing than pieces of aluminium angle. The AAMCB allows the 2”x1.5” heavy duty base to be mitred when joining the projection to the width. 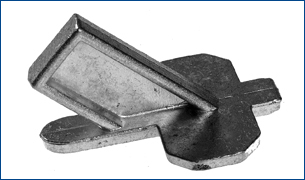 The special feature of this new component is the raised nose which prevents wear on the corners of the Valance as a result of movement in the wind. Note the classic clean lines of this French Awning using the renowned No 1 System: 2 Fixed Awning Brackets, 4 Mitre Corner Brackets and of course 8 French Awning 45 degree Brackets. Available for both No1 & No 2 extrusions. 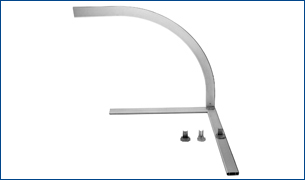 The Fixed Awning Bracket Designed to improve the manufacture of French type awnings, fixed radius Dutch and Approach Awnings. 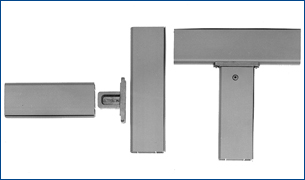 It is made from a robust alloy and enables the fitter to drill through the bracket into the masonry without the chuck of the drill marking the extrusion. Available for both No1 & No 2 extrusions. 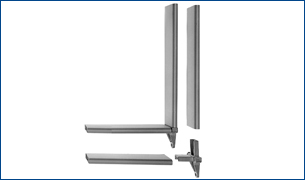 The AABWB enables sub­stantial fixing of the frame work to the wall. 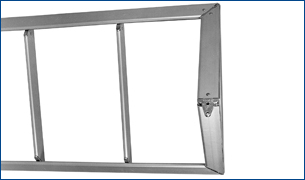 The special feature of this component is the staggered fixing holes which helps prevent twisting of the Approach Awning during high winds. The Centre Leg Bracket, at last one that does not require cutting the top rail. 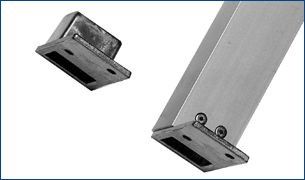 Fit your centre leg on site, get into the exact position that is required, two pre-drilled holes in the bracket act as drill guides avoiding the possible mishap of the drill going through the cover. Available for both No 1 & No 2 extrusions. 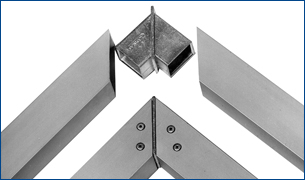 SOB 1&2 Stand Off Brackets will fit into your extrusion off cuts, save all the expense of tailor made brackets in the factory and invariably arriving on site too large or too small, more often than not left behind in the works by the fitter or forgotten altogether by the rep! All that is now required is a handful of stand off brackets,several lengths of off cuts and you can be sure of a perfect fit for your stand off brackets every time. Available for No 1 and No 2 extrusions.